Milwaukee Mayor Tom Barrett is pushing a plan to turn parcels of city-owned vacant land into urban farms and orchards. The HOME GR/OWN program has long been stalled, but received a boost from the Bloomberg Mayors Challenge. Many of the properties are in the city's troubled Lindsay Heights neighborhood, where a network of nonprofits already works to alleviate the effects of Milwaukee’s disinvestment and foreclosure crises. HOME GR/OWN will work in concert with Barrett’s Strong Neighborhoods Investment Plan, an $11.8 million program to perform a kind of triage on ailing housing stock. The city-funded initiative promotes marketing of salvageable homes and vacant lots, but it also bankrolls the destruction of 300 structures deemed beyond repair. 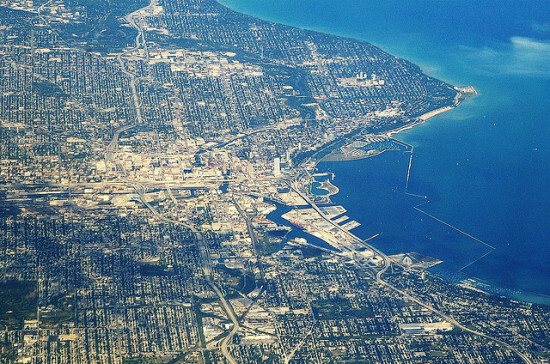 The initiative follows similar programs across the country, including in Chicago, where the Green Healthy Neighborhoods plan captured imaginations in 2011 but has since failed to secure funding. Still, the program’s promise is welcome in a city with as many as 18,000 vacant properties. Its proponents say it may be a cost-effective way to address many intertwined problems at once—many have seized on urban agriculture's potential to create jobs in communities struggling with violence. 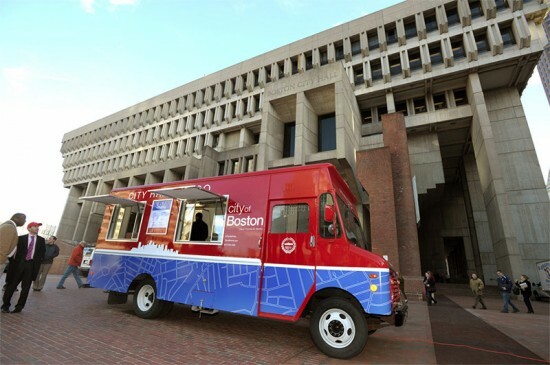 Bloomberg Philanthropies has announced the winners of its Mayors Challenge, a competition meant to generate innovative ideas for the improvement of city life. 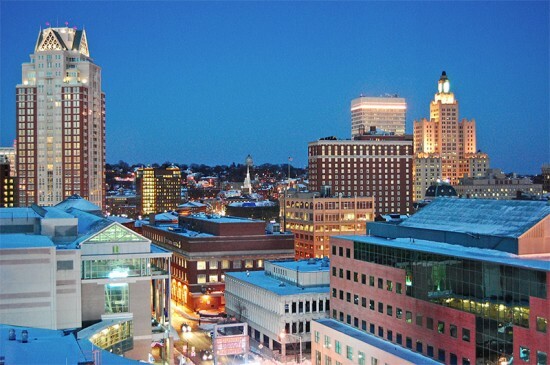 Out of the 300 cities that submitted proposals, the giving institution created by New York City Mayor Michael R. Bloomberg gave the Grand Prize for Innovation to Providence, RI, and its mayor, Angel Taveras. The city was awarded $5 million to implement its project, what Bloomberg Philanthropies called a "cutting-edge early education initiative." Under the initiative, participating children will wear a recording device home that will monitor the conversations they have with their parents or other adults. The transcripts of these conversations will then be used to develop weekly coaching sessions in which government monitors or someone will coach the grownups on how better to speak with their children. Bloomberg Philanthropies said it selected the "revolutionary approach" for the way it uses "proven technologies to measure vocabulary exposure in low-income households and help[s] parents close the word gap." Hello Big Brother! But, then, it's not a surprising choice coming from the man who has recently tried to ban jumbo sodas, did ban smoking in public places, and ordered the erection of signs at fast food restaurants telling consumers just how fat they're about to become. Chicago, Houston, Philadelphia, and Santa Monica also made the top five list, each taking away $1 million to put toward the implementation of their own proposals. Chicago Mayor Rahm Emanuel plans to build a data system to help city leaders make better decisions to prevent problems before they happen. Philadelphia Mayor Michael Nutter will launch a new procurement process to make it easier for entrepreneurs and "social innovators" to answer RFPs. Santa Monica is developing an index to measure well-being and thereby make it part of policy making. Houston walked away with the Fan Favorite prize, which added $50,000 to its purse. This prize was co-sponsored by the Huffington Post and resulted from 58,000 votes. Bayou City mayor Annise Parker is developing a one-bin recycling program, or One Bin For All, as it is called. The measure will save citizens the nuisance of sorting their refuse. Instead, recyclables will be separated from regular garbage at transfer facilities, with the goal of recycling 75 percent of all waste. Houston is currently seeking a private company to partner with on the project. In addition to the money, each of the five members will receive a trophy designed by international art star Olafur Eliasson. While no image of the trophy was available at blog time, a description was: "The Mayors Challenge Prize for Innovation award is a spherical sculpture formed by three concentric circles—square, circle, and dodecagon—encircling a hanging compass. The compass indicates steadily north, uniting the prize winners and assisting viewers in imagining their collective responsibility to navigate towards the greater good for all." And then there were 20. 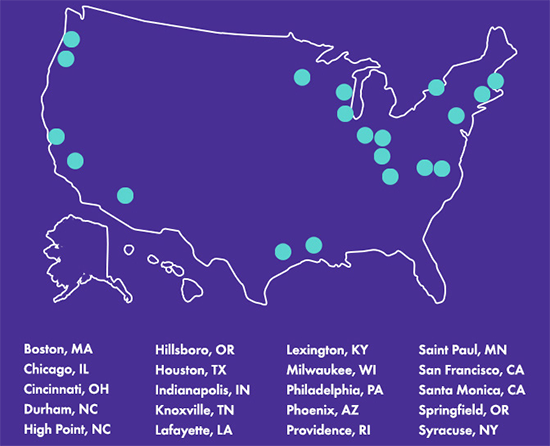 The Bloomberg Mayor's Challenge has narrowed its list of competing cities to 20 finalists! The competition—which encourages architects, city planners, and governments to come up with innovative solutions to improve city life—was originally announced in June by New York City Mayor Michael Bloomberg to assist in addressing urban challenges. Of the 305 cities that submitted proposals, 20 were chosen to continue to the next step: an Ideas Camp, where the final five will be selected and a total of $9 million will be awarded to implement their ideas.